A group of about 30 people discussed both advantages and challenges in building an ag/expo center on the Boone County Fairgrounds last Wednesday night, Oct. 7, at the Albion Country Club. This project was first proposed about three years ago, and the plan has been modified since then. 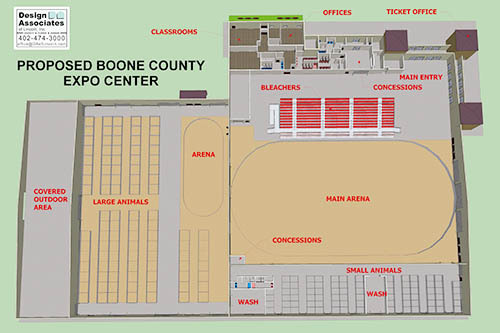 Supporters envision a facility that will draw many additional events and visitors to Boone County, and boost the local economy. Committee members Kurt Kruse, Kevin Rasmussen and Bill Robinson introduced the project. 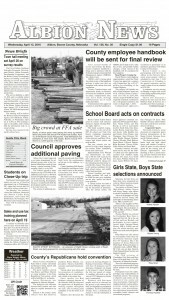 They said current livestock buildings at the fairgrounds are outdated and too small to handle some events. Those facilities need to be replaced, they said, adding that the county should “think bigger” in becoming a hub for regional events. Details in the Oct. 14 Albion News and Petersburg Press, Print & E-Editions.